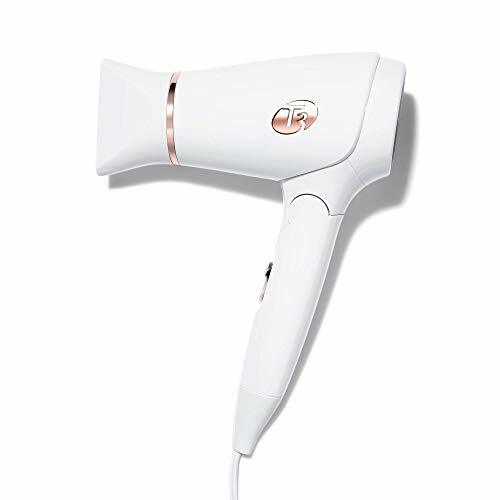 A mini dryer with maxi punch for on-the-go styling and convenient storage in small spaces. Infused with T3 SoftAire technology, it emits an expansive volume of ion-enriched air to rapidly dry large sections of hair. Negative ions also seal the cuticle to lock in moisture, enhance shine and diminish frizz. The small frame, folding handle and ultra-light body render it ideal for travel or for maintaining clutter-free environments. The full-sized handle folds for travel and storage in even the smallest spaces. The same ionic airflow technology used in our full-sized dryers offers a powerful, no compromise drying experience. A specially engineered fan generates a soft high volume, ion-enriched airflow that dries large sections of hair quickly and gently, while creating a beautiful finish. 2 speed/heat settings + cool shot style any hair type and set the look for a smooth, shiny finish. If you have any questions about this product by T3 Micro, contact us by completing and submitting the form below. If you are looking for a specif part number, please include it with your message.